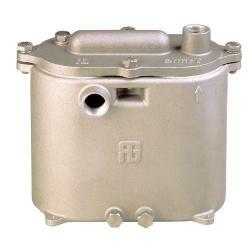 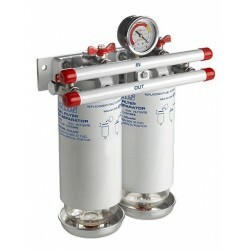 Filter/separator Diesel 75340VTEB | Exalto Emirates LLC. 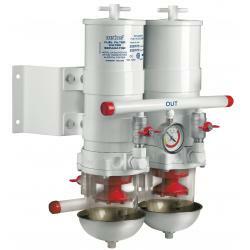 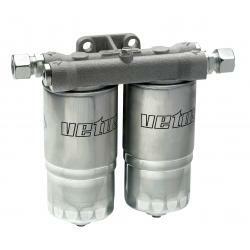 For boats that sail offshore, Vetus strongly recommends these dual filter systems. 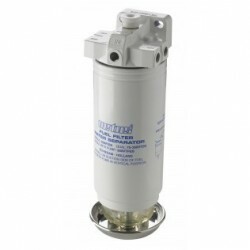 In rougher sea conditions, dirt and water accumulated in the fuel tank becomes agitated and can rapidly clog the filter with little warning. 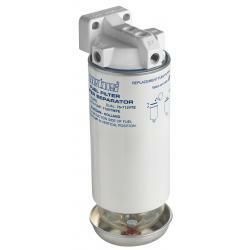 This may result in loss of engine power and all the dangers that may present. 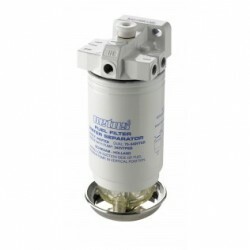 However, simply turning the changeover valve will switch over to the clean spare filter, without even having to stop the engine. 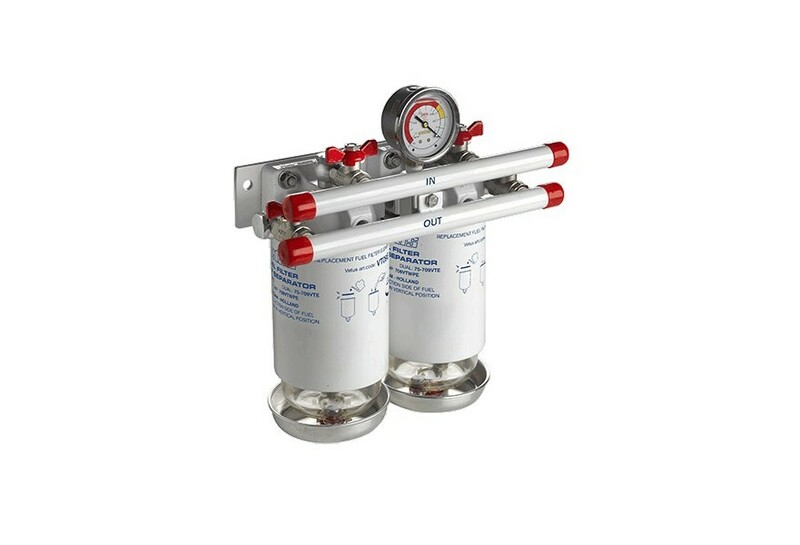 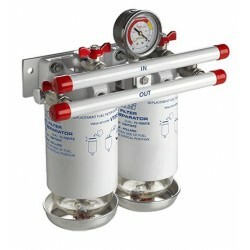 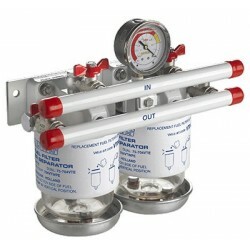 These dual filters are supplied with a vacuum gauge as standard. 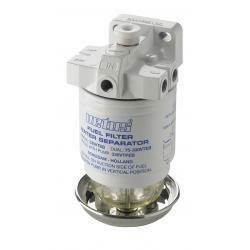 When the gauge shows in the yellow zone (-0.2 to -0.38 kg/cm2), the recyclable filter element should be replaced.